“The ideal man is a myth. 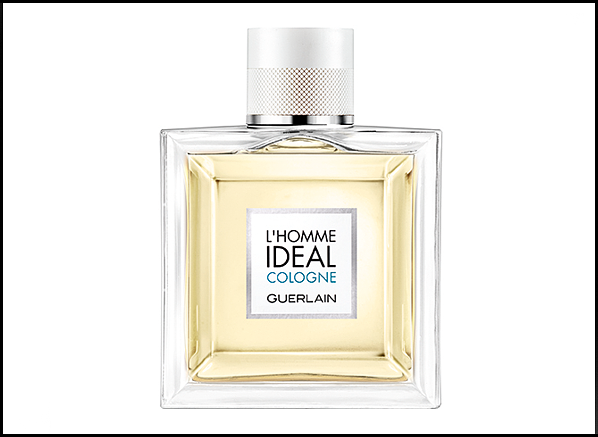 His fragrance, a reality” says Guerlain of their fragrance L’Homme Idéal and now, the newly launched L’Homme Idéal Cologne. I say that Zac Efron is the ideal man, but that’s another post for another day. In truth, the legendary fragrance house may just be on to something. Too often us ladies and gents are provided with a images of the ‘ideal’ – of what we should be, how we should look and how we should aspire to live. Guerlain seem to be saying “be what you want to be, but make sure that you smell damn good whilst doing it”. So yes, the ideal man is a myth (though Zefron comes pretty close – OK, I’ll stop now), but a handsome fragrance is a much more tangible thing, and Guerlain has more than their fair share of those. Last year’s L’Homme Idéal (Guerlain’s first major masculine launch since Homme in 2008) was an ode to confident masculinity that felt cheeky, nonchalant and a heck of a lot of fun. For this year’s cologne interpretation, the L’Homme Idéal has gone from reckless bachelor to doting husband, shaking off his suave black tie and donning himself in the crisp purity of a white suit. He’s also on a diet too, and instead of gorging on deliciously creamy almond tarts, he’s opting for a platter of citrus fruits and a few almond and ginger cocktails. This ideal man sees L’Homme Idéal as a little bit more grown up and a touch more sensible, but he certainly still has that lovely twinkle in his eye that hints at the rebellious sparkle of Paris’ most historic fragrance house. L’Homme Idéal Cologne is instantly much fresher and lighter than the original. In fact, I’d say that it’s entirely more zesty, zingy and brighter, especially in the opening stages, which are filled to the brim with tart and bitter grapefruit and dazzling bergamot. There’s also a generous helping of ginger added to the top notes, accentuating the zingy and bitter tones of the grapefruit and sharpening the edges of the opening accord. The result is a bracing wave of citrus that gives the impression of an exotic mocktail. The heart of the cologne is almond – the note that gives the original fragrance its signature, and character for that matter. In L’Homme Idéal Cologne this personality is maintained, albeit in a lighter, and more transparent manner. The almond note is much fresher and greener here, but it does maintain a degree of the gourmand sweetness that is now so typical of L’Homme Idéal. I also find that the almond notes feels different in texture here, and it certainly possesses a more raspy feel to it, which is an interesting change of consistency from the plush creaminess of the original. L’Homme Idéal Cologne isn’t a traditional eau de cologne. For a start it has decent lasting power and it doesn’t really possess a floral aspect, as is so often seen lurking under the citrus in a typical cologne. The Cologne of the Ideal Man treads a different path, and he opts for something a little more intriguing than the soothing simplicity of an eau de cologne. In L’Homme Idéal Cologne there is an aqueous freshness that is green and sweet, but also has a pleasing degree of sharpness. These more pointed aspects come from the use of Indian vetiver (also used in the original as well as Guerlain’s wonderful L’Homme Boisée – do check that one out, gents), which Wasser describes as having a “piercing quality” that the more widely-used Haitian vetiver doesn’t possess, and extends the grapefruit nuances right into the dry down. If you had asked me to paint a picture in my head of what a ‘Cologne’ version of L’Homme Idéal smells like, this is pretty much what I would have imagined. It is a working example of Thierry Wasser’s style at Guerlain, which is faithful to the quality and patisserie-like style of the historic house, but also transparent and modern. 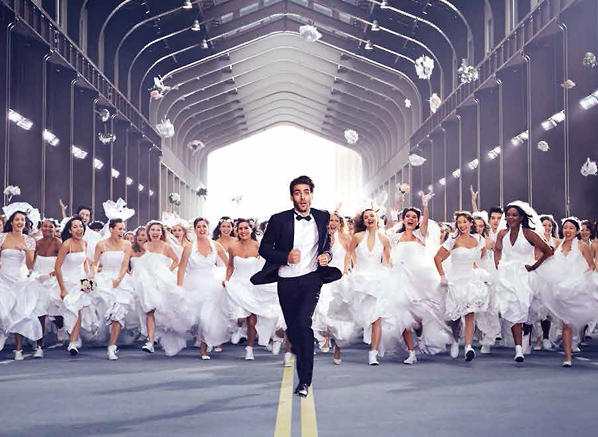 L’Homme Idéal Cologne, in its white lacquered bottle, manages to be the inverse of L’Homme Idéal without losing any of its spirit, or cheeky sense of fun. Sure, I think my tastes may lead me to reach for the robust density of the original over this lighter version, but as the mercury rises, the Cologne feels like a more casual interpretation that brings freshness as well as character. What more could you want? This entry was posted on Wednesday, June 3rd, 2015 at 4:13 pm and is filed under Candy Perfume Boy, Fragrance, Tried & Tested. You can follow any responses to this entry through the RSS 2.0 feed. You can skip to the end and leave a response. Pinging is currently not allowed.